Making this easier on patients should be a main goal of any healthcare facility. An easy way to make things better for your patients is to reduce the anxiety that can come with wonders about who is providing care. Many patients will see a variety of different personnel at a healthcare facility, including nurses, doctors, medical assistants and more. Names and faces can blur together, making "who are you, again?" a common refrain. Those problems can be eliminated with Badge Buddies, our durable role-recognition cards designed to provide a worker's title at a glance. Badge Buddies are Teslin® role-recognition cards. They are the perfect role-recognition cards for hospitals, nursing homes and healthcare facilities of all kinds. Each Badge Buddy features a large area of color and a worker's title printed in clear, bold text. 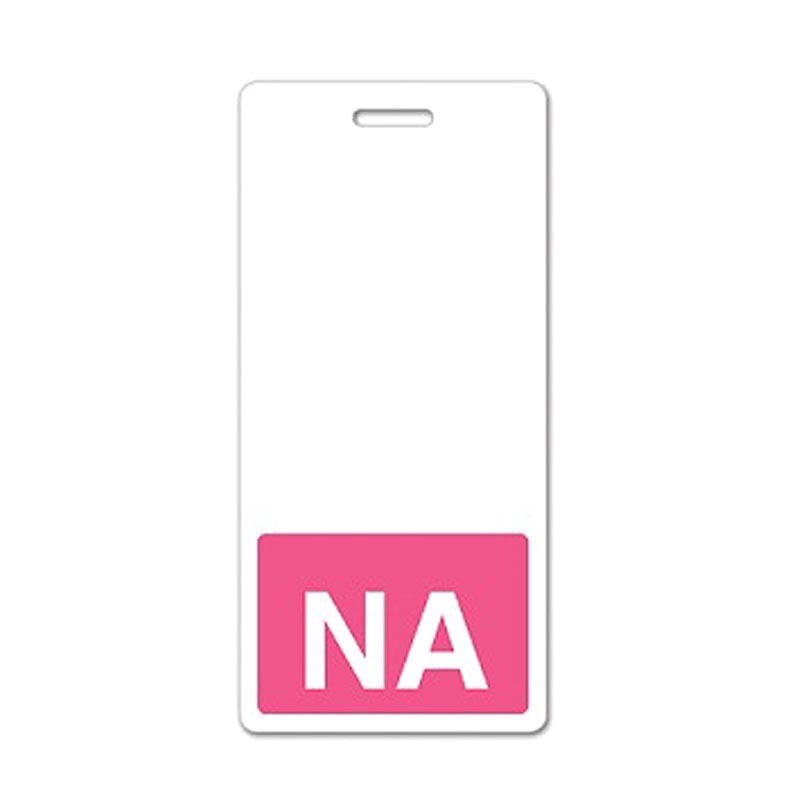 This Badge Buddy features a black color area and ""NA"" text, making it a great Badge Buddy for x-ray technicians, lab technicians and more. Badge Buddies attach to an existing ID badge or card with a strap clip or lanyard: simply place the ID badge on top of the Badge Buddy and slide the strap clip or lanyard through the slot to create a full solution. This Badge Buddy is intended for use with vertical ID cards. For use with CR80/credit card-size credentials, measuring 2.13" x 3.38"